When you’re in search of durable and attractive replacement storm doors, Mikita Door and Window has several options that can complement the architecture of a wide variety of homes. Our company offers only the very best wholesale building supplies, and our selection of doors is no exception. Once you’ve found the perfect replacement storm door for your project, we’ll be happy to quickly deliver it to your site. We even have profession teams of installers who can ensure your storm door is properly installed to provide lasting protection to your entryway. If you’d like to learn more about our replacement storm doors, or any of our other products for exterior front entry doors, contact Mikita Door and Window today. 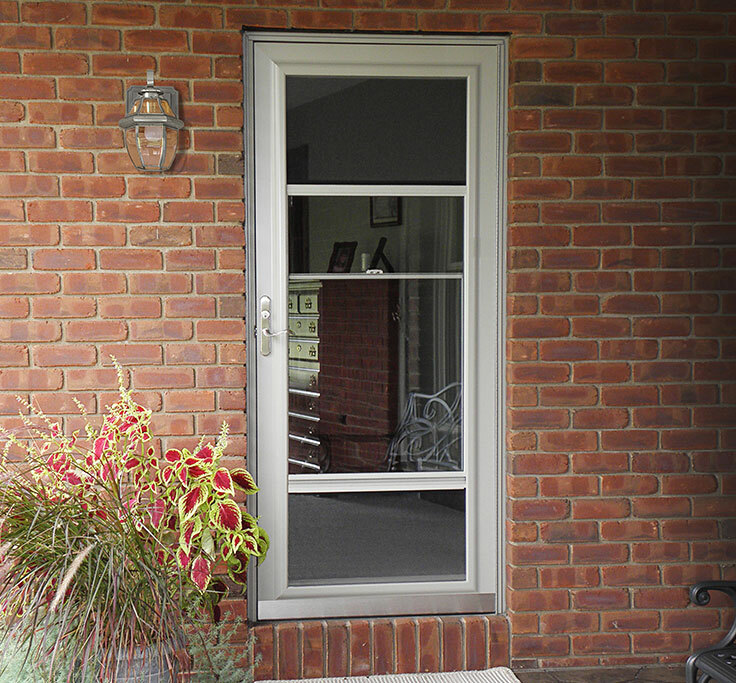 With a wide array of style options, our storm doors allow you to enhance your entryway to complement your home.